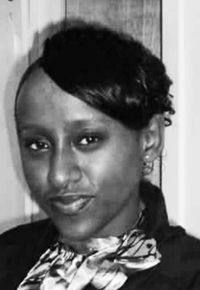 Augustus Funeral Home regrets to announce the passing of Ms. Brittany Keitha Goater. A Home Going Service for Ms. Brittany Keitha Goater, daughter of Carlton Simons and the late Gina Goater, loving mother to King Zyahn Browne, sister to Calvon Kirkpatrick, Carlton Simons III, Shanee Simons, special friend Tyahn Browne [father of son], granddaughter of Albert [Bluff] Simons and the late Maxine Gloria Goater, in her 29th year of 4 Warwickshire Road, Warwick will be held at New Testament Church of God, Heritage Worship Centre, Dundonald Street, Hamilton Today, August 13, 2018 at 1:00 pm. Lovingly remembered by aunts: Geri-Lynn Goater-Jackson[Dean], Zackia Goater [Wolde], Colette Riley [Maxwell], Linnal Simons, Idamae, Pamela, Lynette Goater, Julie Paynter And June Lemelle; uncles: Herman Basden, Clyde Goater [Janice], Thomas Jones; cousins: Quinn, Dwayne, Nicole, Reginald, Sierra, Chardonne, Taiva Paynter; Oneka [Ernst], Chaz Trott, Trae, Kaila, Tomiko, Tomisha, Jahkeya, Lekan, Sheda, Shaun [Anita], Anais, Amaya, Clyde Goater Jr., Kabran, Ashontae, Azi Goater, Yahzahra Goater Gilbert, Theresa, Milun and Ty Dunlop, Nekal Goater-Price, Lesley, Anna Basden, Tanisha Dixon, Kyrah Bridgewater, Nalah Goater, Alira Pitcher, Ceah Goater- Ratteray And Neikko Goater, Kisha Goudeau, Shay-Juan Riley; special friends: Charlene Grant, Jasmine Furbert, Eston Rawlins, Paul Dyer, Denzel Wright, Maliqua Lightbourne, The Browne & Davis Family, Dill Family, Gibbons Family, The Willow Stream Spa Family And Southampton Princess Family, Ika, Curleza; many family and friends too numerous to mention. Brittany Goater was predeceased by great grandmother: Dorothy Marie Dillon [Nee Basden, Goater]; cousin: Winston Paynter.